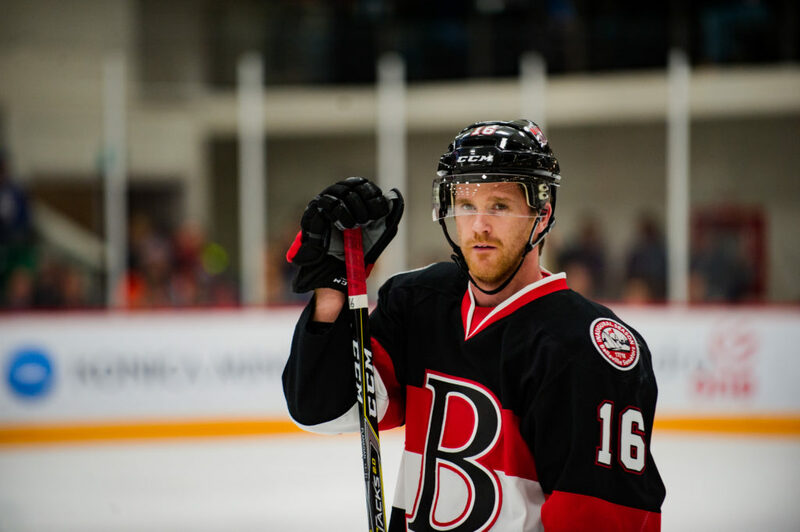 Over the more than 250 professional games Kyle Flanagan played in during his career, he took pride in being one thing: a solider. He will now take that same philosophy into his new career as a scout for the Ottawa Senators. 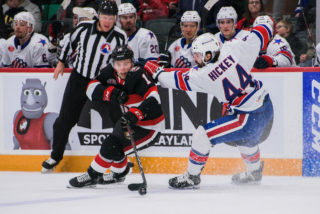 It’s the start of a new career path for the 29-year-old Canton, N.Y., native after a playing career that began with the Cornwall Colts before finishing with the Belleville Senators this past season. Flanagan spent the bulk of his pro career in the American Hockey League where he played 205 games, scoring 23 goals and adding 59 assists. 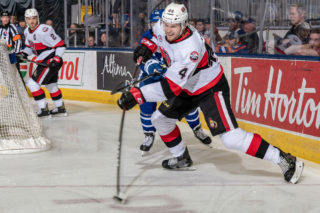 The final three years of his five AHL seasons were spent with the Senators organization including a career 2016-17 campaign where he registered 29 points (nine goals) in 68 games, all career highs. 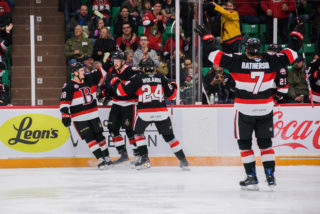 In Belleville, injuries, in particularly concussions, derailed his final season as he suited up in just 17 games scoring once and adding three assists. “When it comes to an end you always want it to be your choice and to a certain extent it was but the body was getting banged up and the last concussion I really had a hard time with it,” Flanagan said. “With all the information that is coming out now, there was no reason to keep going. 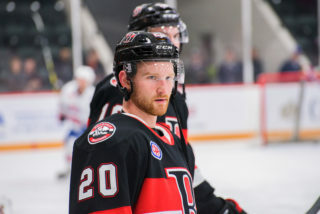 Flanagan also spent a season overseas playing for MODO in the Swedish Hockey League during 2014-15 where he collected four goals and 15 points in 38 games. 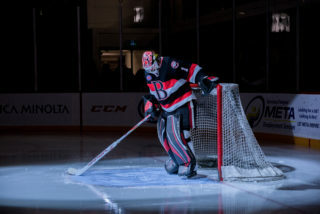 Over his career, he also played 12 games in the ECHL. 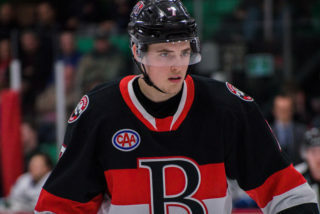 A former finalist for the Hobey Baker Award in 2012-13, given to the NCAA’s best collegiate player, Flanagan parlayed a successful college career with St. Lawrence into a professional career. He was captain his junior and senior seasons, the latter of which he racked up 47 points (15 goals) in only 35 games where he was also named to the NCAA (East) First All-American Team and NCAA (ECAC) First All-Star Team. Now, he’ll get to spend time back in the NCAA as Flanagan will scout the NCAA for the next wave of Sens stars. It will also give Flanagan a bit of time to spend closer to home, something that’s been missing during his playing career. “I had talked to some former coaches who are now scouting and the one thing that they mention is that you can scout from anywhere but you can’t coach from anywhere,” Flanagan said. “It’s a lot every year to pick up and move, spend a ton of time on the road, but this interested me as far as staying in the game without having to be so involved in coaching right off the bat. In addition to the NCAA, Flanagan will spend the majority of 2018-19 covering the OHL as well as the OJHL and CCHL and will also dip into the QMJHL too. “A little bit of everything,” Flanagan said.